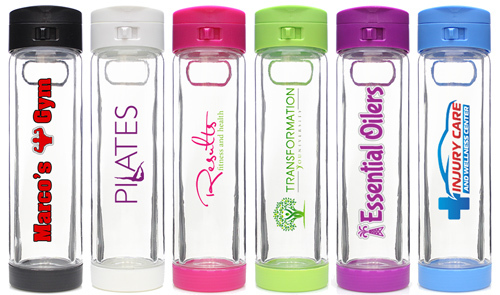 Make Your Branded Bottle For 1 Flat Price! Tell Us About Your Project, and Receive a FREE Sample. Includes FREE Shipping! Click the button below and fill out our Custom Print Form for a FREE sample! Hurry! First 5 projects per day only! Small MOQ: Order as low as 18 units (both single and multicolor imprints). FREE Shipping On All Custom Bottle Orders: US lower 48 states only. 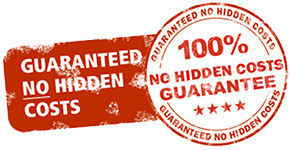 Flat Rate Pricing: No hidden fees, no extra charges. Speedy Turnaround: Most orders shipped within 5 business days. In house printing equipment to ensure speedy turnaround. •Your Brand on a product that can be taken anywhere! •Order in bulk to save with 1 flat price! 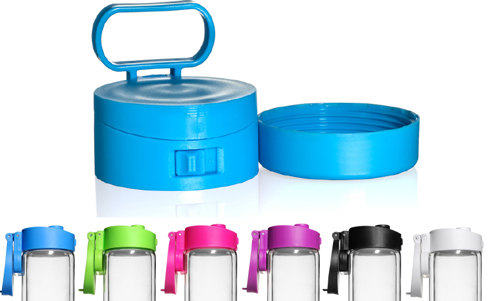 •Great for promotional giveaways, gifts and more! Attractive, innovative bottle that gets attention! Artwork can be uploaded using the Custom Print Form below. 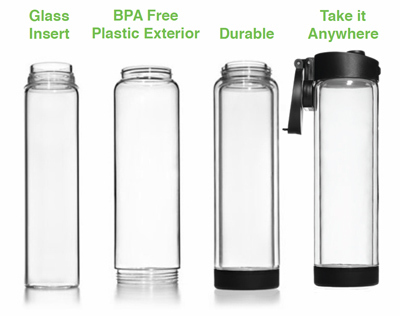 Feel free to use our Online Design Tool by clicking "Personalize" on any of the six color Branded Bottles. This way, you can preview what your artwork will look like on the bottle.